Hull weight (approx. ): 65 lbs. Hull type: Three-point hydroplane developed for sheet plywood planking. 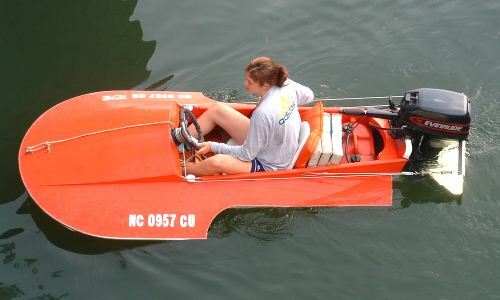 Power: Short shaft outboard motor to 20 hp.